Pound Animals Worth Saving lists all adoption events on our Facebook page. These events are updated as soon as details become available. Once our dogs and cats are settled into their foster homes we publicize and promote their availability. P.A.W.S. 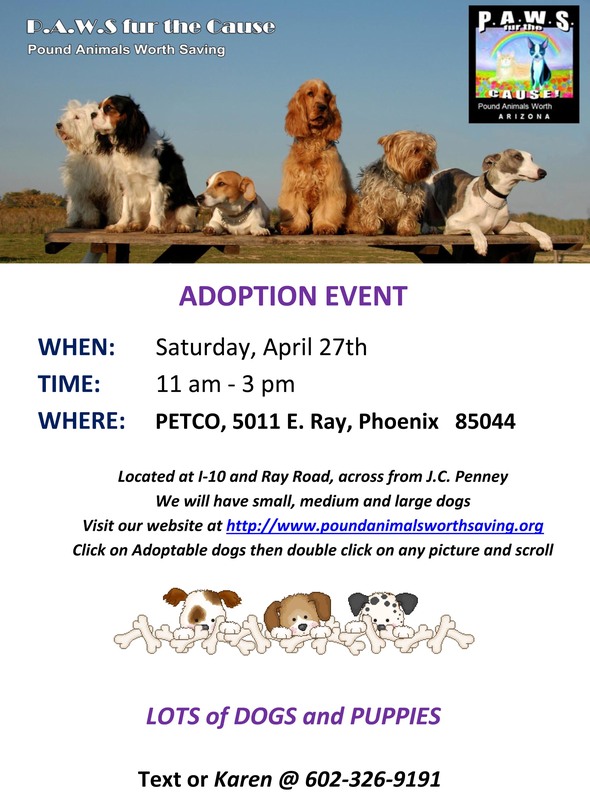 adoptions are held across the East Valley almost every week..